Roy McClellan, who had worked odd jobs, had good days and he had bad days before the festival, his wife said. But the shooting’s aftermath was a blow, worsening his existing troubles. Then, on Nov. 17, she learned he’d been killed. A driver on State Route 160 in Pahrump hit him and sped away. 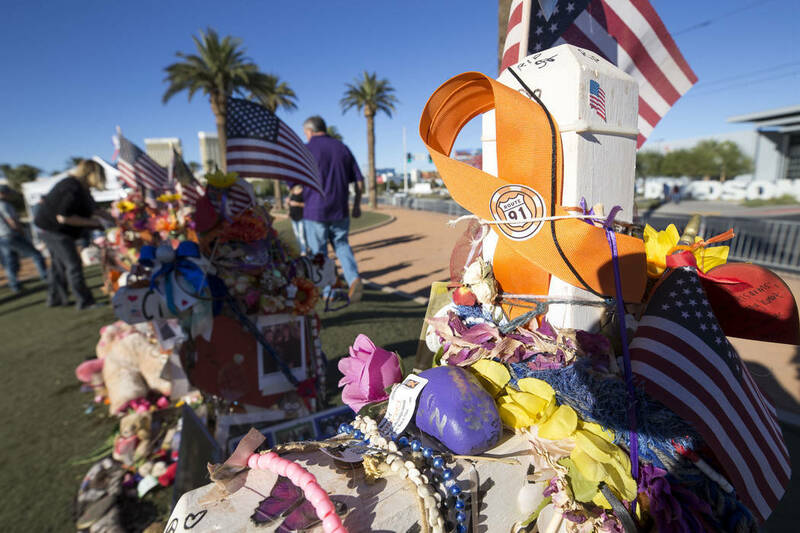 Richard Brian/Las Vegas Review-Journal The crosses and mementos left behind by visitors at a memorial for Route 91 Harvest shooting victims at the Welcome to Fabulous Las Vegas sign, Thursday, Nov. 9, 2017. David Jacobs/Pahrump Valley Times The fatal crash remains under investigation. Anyone with information may call the Nevada Highway Patrol at 702-486-4100 or Crime Stoppers at 702-385-5555. Roy McClellan spent his life battling his inner demons, working to overcome his recurring depression and anger. And then Oct. 1 happened. “This is really messing with my head,” an exhausted Roy told his wife, Denise McClellan, the morning after they’d escaped the mass shooting at the Route 91 Harvest festival. By daybreak, the death toll of the massacre had climbed to 58, with 546 others injured. Roy, who had worked odd jobs, had good days and bad days before the festival, Denise said. But the shooting’s aftermath was a blow, worsening his existing troubles. Then, on Nov. 17, she learned he’d been killed. A driver on Nevada Highway 160 in Pahrump hit him and sped away. The shooting was scary enough. Now she’s reeling anew, wondering whether she’ll ever regain normalcy. “I feel like I’m in another dimension,” she said Sunday. He had been at the heart of the Route 91 Harvest festival crowd and Denise was near the stage when gunfire erupted from a 32nd-floor Mandalay Bay corner suite and separated them. Denise said she doesn’t remember what time it was when she found her husband. But afterward, after he’d taken her home and ensured she was safe, Roy turned his pickup around and raced back toward the site of the shooting, Denise said. “He wanted to see if anyone else needed a ride,” she said. Pausing to collect her thoughts, Denise let out a long sigh. 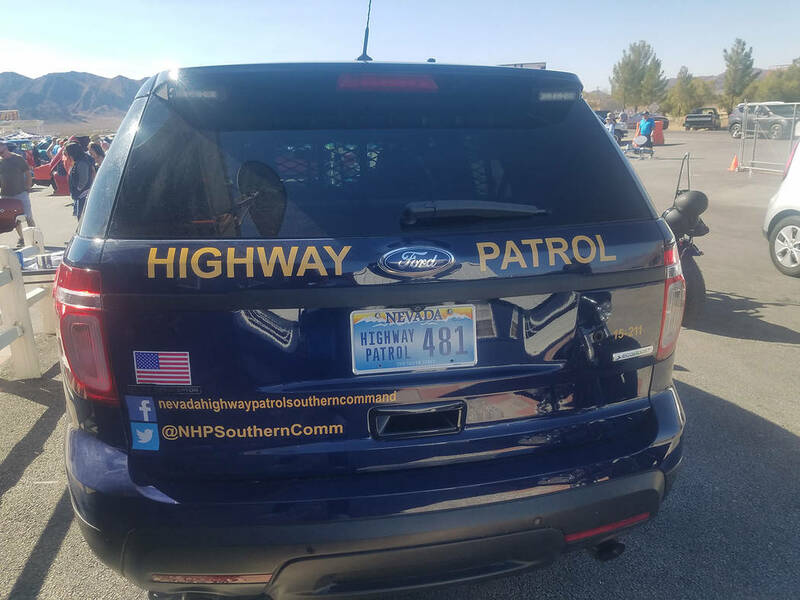 Early Nov. 17, shortly after 1:30 a.m., the Nevada Highway Patrol reported the death of a 52-year-old unidentified pedestrian in Pahrump. Denise would later learn the dead person was Roy. Roy had driven some 60 miles to Pahrump Nov. 16 to help a friend with a house project. But at around 2 p.m., more than 11 hours before the crash, the two men had argued and Roy had stormed off, Denise said. “He didn’t look like he was in his right mind,” Roy’s friend later told her. According to the Highway Patrol, Roy was walking illegally in the right lane ahead of traffic on State Route 160 near Homestead Road when a Chevrolet Camaro struck him. The Camaro’s driver took off before Highway Patrol troopers and investigators arrived at the scene, where Roy had been pronounced dead. On the morning of the 17th, she enlisted family and friends on Facebook to help find him. She filed a missing persons report after not hearing from him at all that day. But then she came across a news headline, and her heart sank. The Chevrolet believed to be involved in the crash was found the next day, but trooper Jason Buratczuk said the person of interest had not been charged as of Sunday afternoon. Denise said the Highway Patrol hasn’t reached out to her with details of the investigation since the crash. No other details have been released about the hit-and-run collision. It remained unclear on Sunday why Roy was walking in the roadway. The Clark County Coroner’s office has not yet determined his official cause and manner of death. Roy was trying to right himself, Denise said. Days after the shooting he had entered counseling and continued for the next seven weeks. Though he had never been clinically diagnosed with depression, she suspected he’d been depressed all the same. As he was helping himself, Roy continued helping others, she said. Friends and family will remember him for his kindness, his devotion to God and his love of motorcycles. He was a member of the One-Way Riders, a Christian motorcycle group. Life after the Las Vegas shooting hadn’t been easy for the McClellans. Now, Denise said, she is taking on life without Roy, one day at a time. The fatal crash remains under investigation. Anyone with information may call the Nevada Highway Patrol at 702-486-4100 or Crime Stoppers at 702-385-5555. A GoFundMe page on Denise’s behalf has been set up to assist with Roy’s funeral costs.